It all starts on the page, which is why screenwriters are so important. 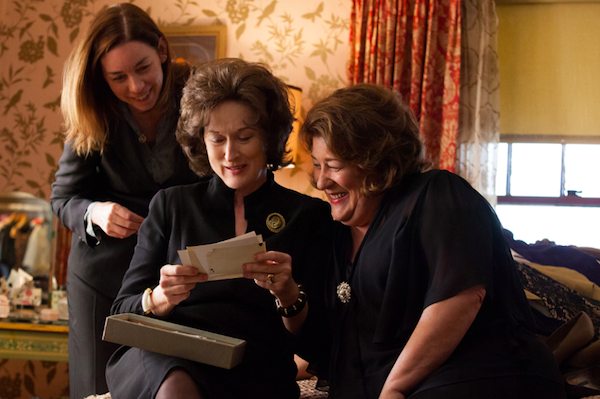 The Writers Guild of America has released its nominees for the 2014 WGA Awards. Just one day after the Producers Guild of America announced its nominees, the Writers Guild has unveiled its own. The WGA is honoring screenwriters in the original, adapted and documentary screenplay categories. Some notable films to make the list include American Hustle, Dallas Buyers Club and the controversial The Wolf of Wall Street. According to The Hollywood Reporter, the WGA Awards will be held in both New York City and Los Angeles. The WGA West ceremony will take place at the JW Marriott, while the WGA East ceremony will be at the Edison Ballroom. The winners will be announced simultaneously on Saturday, Feb. 1. Her, written by Spike Jonze — Warner Bros.
What do you think of this year’s WGA nominees?